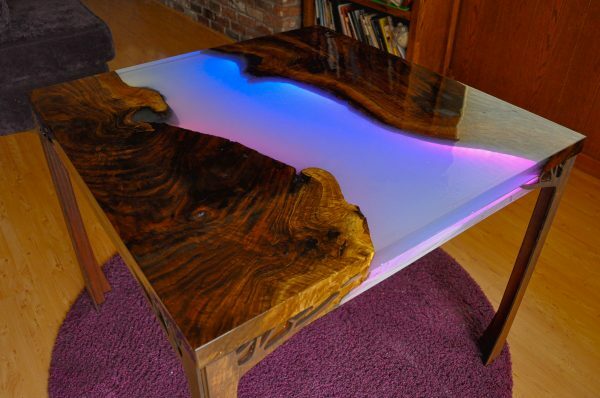 Epoxy resin river tables can be stunning works of art. Adding NeoPixels and a Circuit Playground give this table an extra special dimension — its soft pulsing glow fills a room with beauty and makes every meal into a masterpiece. This is a DIY build tutorial for making a resin river table that’s lit from underneath by LED rainbow lights. Do some woodworking with live edge walnut and epoxy resin, and learn techniques for soldering together the NeoPixels and electronics to make it glow. CircuitPython – Python on Microcontrollers is here! Maker Business — Open-source hardware requires a community. A little celebrity doesn’t hurt. The Trillion-Dollar Question: How Can We Unlock the Money Needed to Transition to a Low-Carbon Economy?